In order to fulfill the ever-evolving demands of our esteemed clients, we are engaged in providing an optimum quality array of Disposable Baby Diaper. Kaddy diaper provides the best products that care for every stage of a baby's growth. From new-borns and sizes that cater for S, M and L the products give you all the protection and comfort for your growing baby to spend more time having fun and learning new things while maintaining comfort all the time. 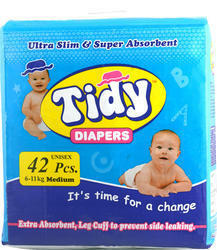 With enriched market experience, we have been able to offer a wide spectrum of Baby Diaper. 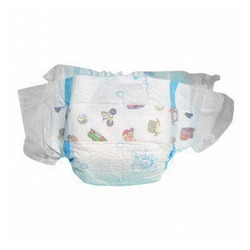 100% cotton super soft disposable diapers with SAP. Cheap Price High Quality baby diapers availabe in all sizes. 1. Soft Non Woven Top Sheet, make you feel comfortable and breathable.